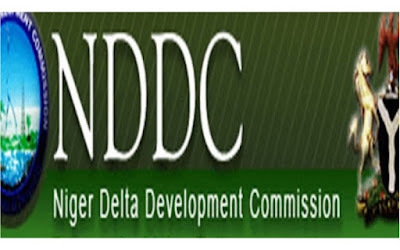 The Niger Delta Development Commission (NDDC) has assured a network of roads measuring 69 kilometers and 12 bridges to be constructed in Delta State to link coastal communities for effective oil exploration and maximum utilisation of the Maritime University at Okerenkoko. Executive Director (Projects) of the commission, Mr. Samuel Adjogbe who gave the assurance in Evwreni, Ughelli North Local Government Area of the state where he was invested as patron of the Buhari Support Group Center (BSGC), explained that the road and bridges would link Omadino to Okerenkoko and Escravos. He said the projects would pave way for the Maritime University to be put into maximum use “because most people would not like to travel by waterways. “We are connecting to Excravos because we have Federal Government presence in the Excravos Terminal, like the Chevron terminal and Shell locations and the roads will open up the areas so that the operational cost of the companies in those areas will come down and once that is done, more profit will go to the Federal Government and more allocations would go to the states that depend on crude oil. “Today in Delta state, there is hardly any community where you don’t have the presence of NDDC either from projects that have been completed or the projects of emergency that we currently do across the region. “Outside Delta state, we have also intervened in Ondo, Edo Bayelsa, Rivers, Imo, Abia, Akwa-Ibom and Cross River states. We are consolidating on the gains of democracy to our people. We have established road network to places that people never thought there could be road access to such areas. “A typical one is the Ogbia/Nembe road that is 100 percent completed and in a short while from now, President Muhammadu Buhari would be invited to commission that world class project of over 25 km with a worth of over N21 billion. “At the Akwa-Ibom axis, the Abak road is being planned for expansion and dualisation and once it is done, movement would be free and economic activities will improve. Apart from road infrastructures that we have embarked upon, there are other human capital development projects that we have also done. The scholarship program is already on and over 200 Niger Deltans would be given scholarship to study overseas. Describing the award presented to him as a call to do more, he advised the people of the Niger Delta region to give their massive support to President Muhammadu Buhari in the 2019 general election. Adjogbe said: “We have our own person as President for six years and we did not get it this nice. The East/ West road changed hands from the Ministry of Works to SURE-P and the Ministry of Niger Delta Affairs, but nothing happened in that time. “But today we are seeing the completion of the redesigning of that job and so much money have been voted for that project to be completed.